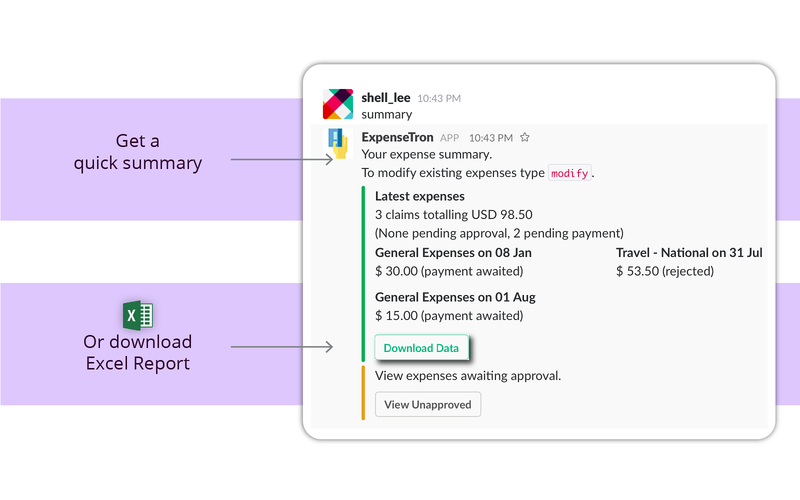 ExpenseTron brings expense reporting and purchase order approvals to Slack. 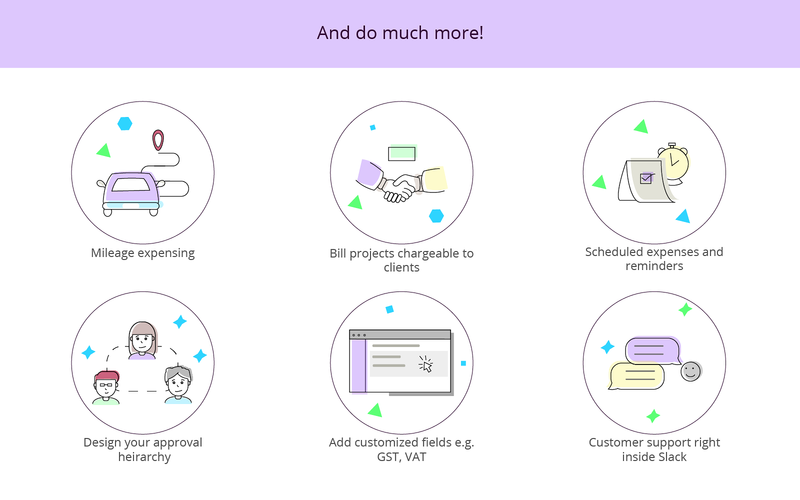 Just dm @expensetron simple messages about your expenses, or simply drop your bills or receipts and it will categorise them, file them and send them for approval. Managers can view expense details, download reports and approve/reject expenses. 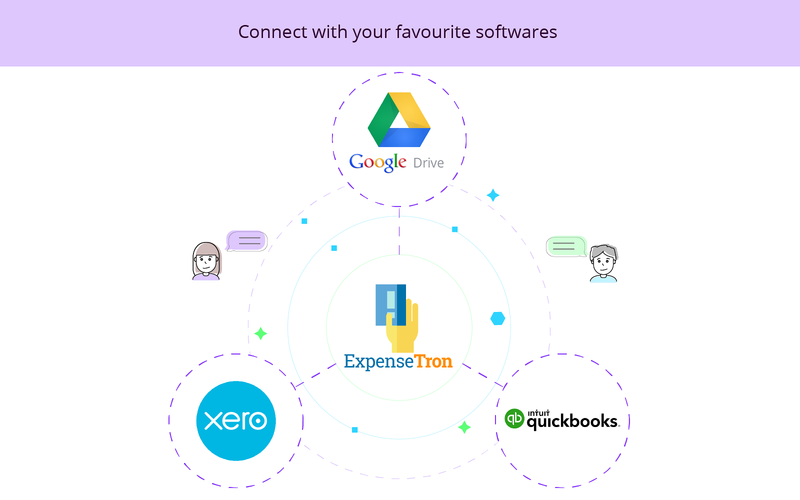 Create purchase orders with simple messages like 'purchase macbook pro for Matt $1200', Sync your expenses/POs to Xero and QuickBooks and archive your receipts in your favourite Google Drive. 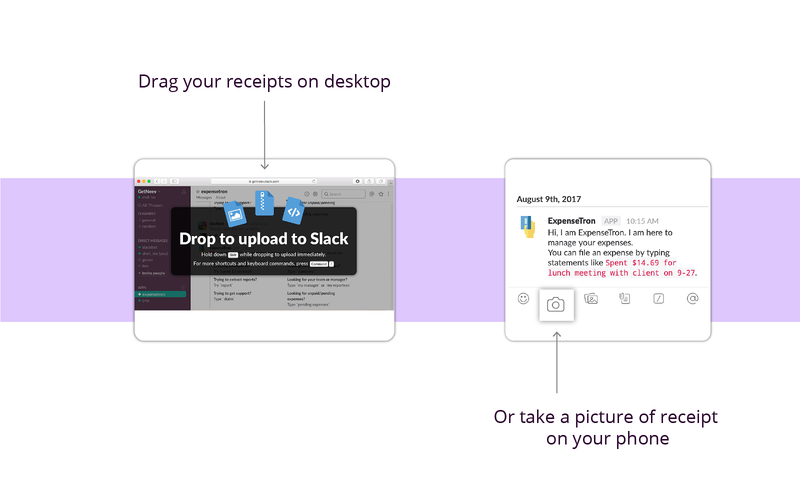 All this and much more, without ever needing to leave Slack. Follow the install link and try it for free for 14 days. 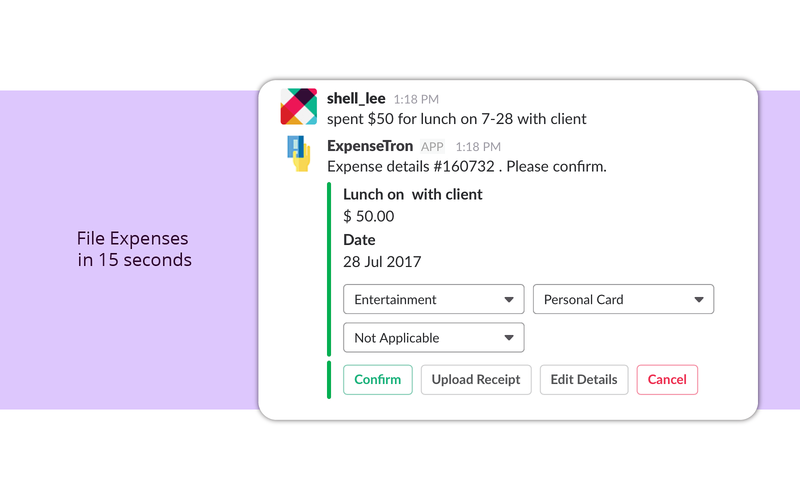 ExpenseTron will be able to view the email addresses of your Slack workspace’s members. 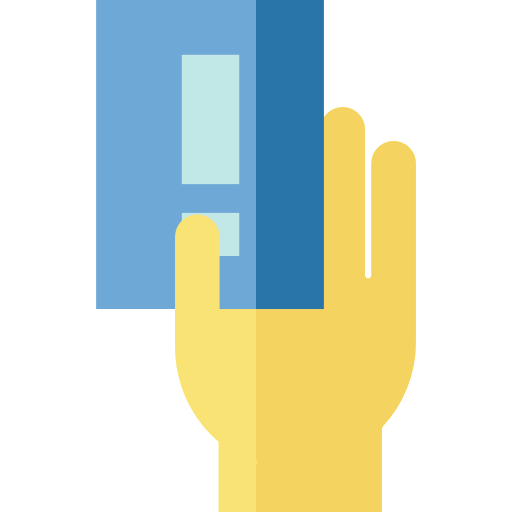 ExpenseTron will be able to view your user id number, full name, and workspace id number on your workspace. ExpenseTron will be able to install a bot user that appears in and has access to your workspace’s directory. It can also post messages and view activity on messages in any channel it is invited to. 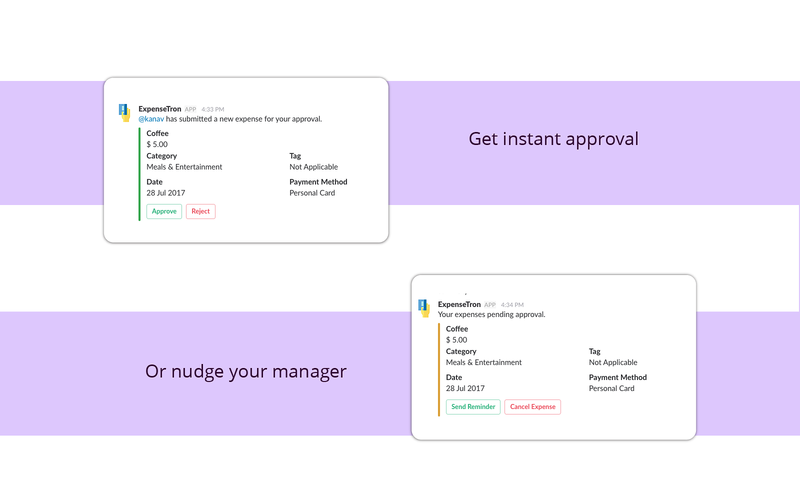 ExpenseTron will be able to access profile information for all users on your workspace, including names and contact information.